Are Paul Kerton's Vegan Claims Too Good To Be True? Truth Inside! 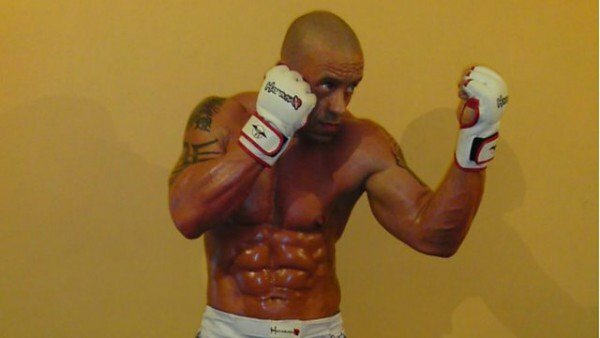 Paul “Hench Herbivore” Kerton is a diehard vegan bodybuilder who’s on a mission. He wants to convince you that it’s possible to get ripped without eating meat. And he seems to live by his claims as he is one ripped dude. I first heard of this guy’s interview on BBC World Service’s Newshour show in 2015. He talked about his journey from eating 500 grams of meat a day to going full-vegan. And most importantly, he discussed all the benefits he gained from making the change, from feeling more alive and healthy to improve his eyesight. At that time, I thought this guy was just full of hot air, and the only way to get muscle gains is to pack on the meat proteins. However, over the years, I’ve found more and more evidence pointing towards the benefits of this plant-based diet and lifestyle. In this article, I’ve compiled my research on Paul Kerton and his veganism, as well as my thoughts on all this. Additionally, I’ve shamelessly dropped a plug for a Vegan Protein Powder for all the [current and future] vegans who want faster gains without eating meat. 1 Who Is Paul Kerton? 2 How Did Paul Kerton Get Started With Veganism? 3 What Convinced Paul Kerton To Become A Vegan-For-Life? 4 What’s Paul’S Reason To Promote His Vegan Lifestyle To His Clients? 5 What Are My Thoughts On Paul Kerton And Veganism? 6 What Can People Do If Following A Vegan Diet Isn’t Providing Gains Fast Enough? 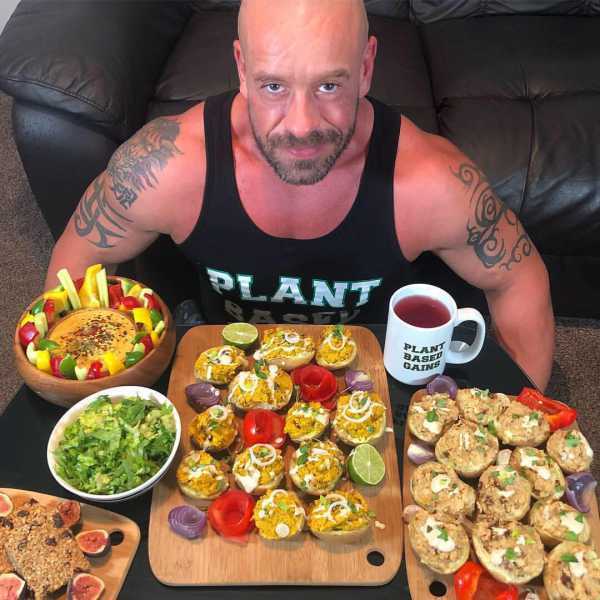 Paul Kerton is one of the most well-known vegan bodybuilders in the world. He hails from Norwich, UK and has been into health and fitness since he was a weedy kid. His journey started from local Karate classes as a child to becoming a Karate instructor with a 3-Dan Blackbelt within a little over a decade. This guy is also a Level 2 Gym Instructor, Level 3 Personal Trainer, and a true-blue Vegan Nutritionist. Nowadays, he’s the go-to authority on vegan health and fitness with his own YouTube channel and several press-appearances and noteworthy highlights. Some of which include inspiring the 2014 Mr. Universe Barny du Plessis to become a vegan bodybuilder and aiding professional soccer player Russell Martin in his transition in switching to a vegan lifestyle. How Did Paul Kerton Get Started With Veganism? Paul’s switch to veganism in Summer 2012 came from watching his fiancée Gemma Nichols all but cure her Hashimoto’s Thyroiditis. At first, he was worried that switching to a vegan diet will end up disintegrating his muscle gains. However, in the first six months of following a vegan diet, he claims that he was stronger than ever. He states that in just six months as a vegan, he was able to perform 140kg x 12 bench press, 12 lat pulldowns, and 400kg x 16 leg press. What Convinced Paul Kerton To Become A Vegan-For-Life? After six months, he had realized that being a vegan doesn’t make you weak and eating meat isn’t required to gain muscle mass. Additionally, Paul realized that his vegan diet wasn’t just increasing his muscle strength and energy levels. In the short time he was a vegan, his eyesight had improved from -3.50 and -3.00 to -1.75 and -1.50 respectively. He had also found out about the toll on the earth’s environment that’s caused by raising livestock as well as the poor treatment these animals go through. These reasons convinced an omnivorous like Paul Kerton to become a vegan-for-life. What’s Paul’S Reason To Promote His Vegan Lifestyle To His Clients? After his BBC interview that reached over 165 million people, his fame and popularity skyrocketed. Additionally, his likable character and support from big names like Barny du Plessis and Russell Martin also helped him gain serious momentum. Nowadays, he’s working as a Personal Trainer at Phoenix Gym in Norwich. Additionally, he’s a top ranking expert in vegan nutrition, an avid blogger and a famous YouTuber. He isn’t shy about promoting the health benefits of going vegan for his clients. The plant-based diet, according to him, can help reverse Type-2 diabetes, liver disease, ulcerative colitis, and arthritis. Along with promoting the benefits of being a vegan, he also wants to shed light on the impact our meat-loving society is having on the environment. Just the greenhouse gases created to provide beef and pork to the world has a significant impact on the environment. If we stop eating meat and switch to plant-based diets, we could reduce the greenhouse gases emissions by up to 2.3% per annum. What Are My Thoughts On Paul Kerton And Veganism? First off, I’m not a vegan, but I’m also not a vegan-hater. I have no problem with those who choose to eat a plant-based diet so long as I can enjoy my steak in peace. That said, I also do believe that you don’t need to be guzzling whey protein shakes and gorging on boiled chicken breast to gain muscle. I’ve stayed fit throughout my life, and I have always placed vital importance to my greens and veggies. I don’t go full vegetarian/vegan, but most of my meals are veggies. I do eat chicken, salmon, tuna, eggs, and other protein-rich foods, but in moderation. What Can People Do If Following A Vegan Diet Isn’t Providing Gains Fast Enough? I get a few requests asking me on tips to get faster muscle gain as a vegan. To these people, I point them towards the high-quality vegan-friendly supplements that have proven themselves to work. The latest one that’s entered my radar is Promix Vegan Protein Powder. This protein powder is designed to be vegan and paleo-friendly while providing a full protein profile for maximum muscle gain. This Vegan Protein Powder is made from organic peas and sprouted brown rice. It’s a high-quality product that provides the right set of vitamins and minerals your body needs for muscle growth. There are currently four flavors of this protein powder available, one of which comes with added Vitamin B12. This is a vitamin that many vegan diets lack and promotes cell growth and energy levels. The tagline for Promix is ‘Pure Ingredients. Pure Results.’ I believe this to be the reason for its 4.5-star rating and world-wide popularity. You can get Promix Vegan Protein Powder directly from the manufacturer’s website with the latest deals and promotions. I’ve also written an in-depth review on this vegan protein powder which contains my insights and recommendations regarding Promix and its vegan protein powder. To conclude this article, I do believe that some of the health benefits Paul “Hench Herbivore” Kerton claims are possible. That said, I don’t think that it’s possible for most people to reach his level of physique just with the vegan diet. And this is why vegan protein products are essential alongside the healthy vegan diet for maximum muscle gains.